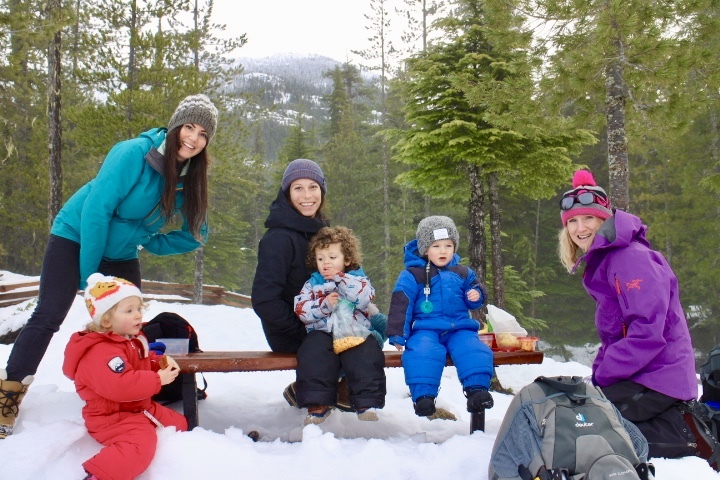 Even tho Squamish in the middle of December doesn’t really feel like winter, there is still lots of fun activities in the snow we can do within an hour drive. Squamish is recognized as the outdoor recreation capital of Canada for its many options of activities to practice out in nature. From Mountain Biking, Climbing, Kayaking, Hiking, Kite Boarding to Snowmobiling, Ski Touring, Snow Shoeing, Tubing… There is an activity for everyone. 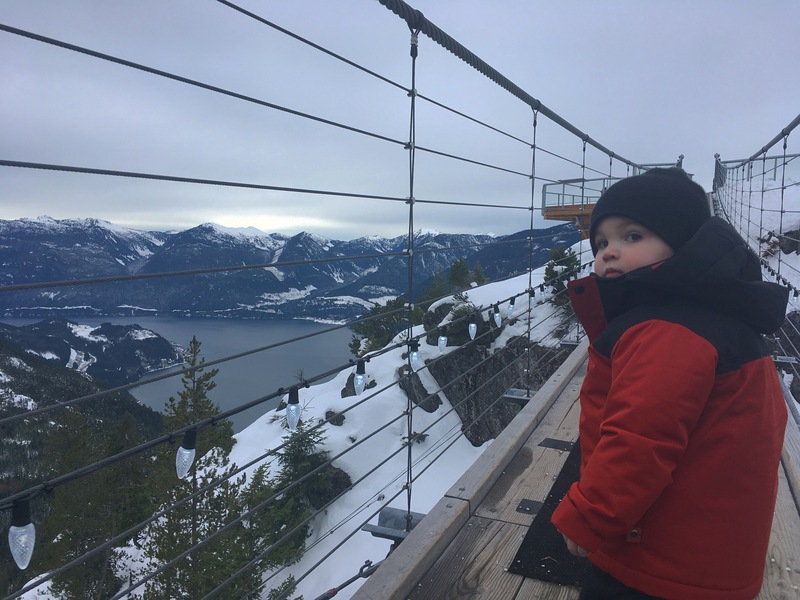 Squamish is such a family-friendly town and here are some examples of activities you can experience around here. Heading up the Sea To Sky Gondola gives you the opportunity to escape the rainy days and discover a winter wonderland. There are activities for the whole family up there. 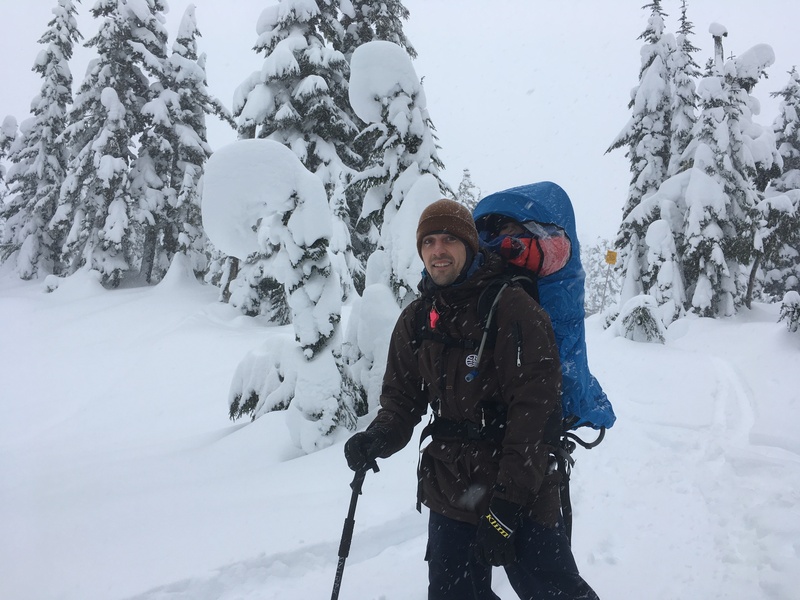 you can go on a snowshoe or a ski touring mission around the wonderful trails, enjoy the tube park, hit up the playgrounds, walk across the suspension bridge or just go on a nice walk around the many trails up there. The view is mind-blowing and is so worth it. Once you’re done with the outdoor activities, they also have amazing kids play area inside with, once again a spectacular view where you can enjoy a warm beverage and bakeries. The other way to escape the rain in Squamish is to head up the Garibaldi Provincial Park and make your way to the Red Heather Hut. It is definitely one of my favorite place to go in the winter. If you want to park at the top parking lot, you need to make sure to have chains for your vehicle. The hike is 5 km up through a beautiful forest before you get to the Hut, where you can warm up beside the fireplace and have some snacks. It can get quite busy on the weekend but it’s still an awesome destination to go with the kids to go play in the snow even if you don’t go all the way to the Hut. Don’t forget to bring something that you can use to slide back down with. We often go ski touring up there and ride back down slowly with Jackson in the Backpack, the road is wide enough where you can slow down pretty easy. Who knows maybe this year he will be going back down on his own snowboard. 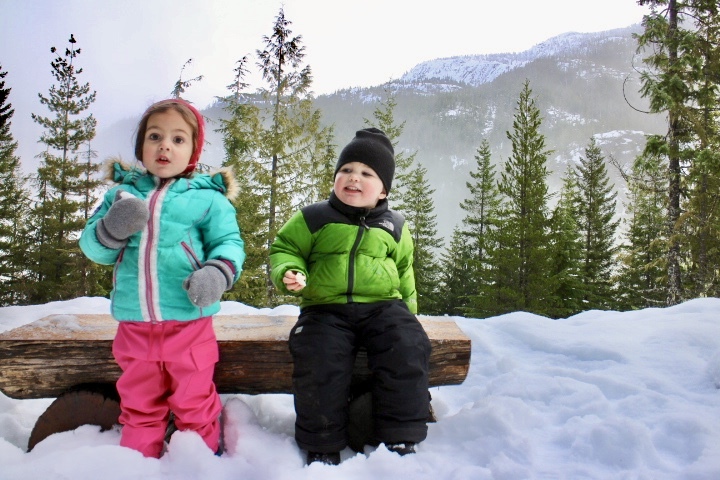 Located about 30 minutes North of Squamish, Callaghan Valley is home for lots of amazing winter activities for the family. 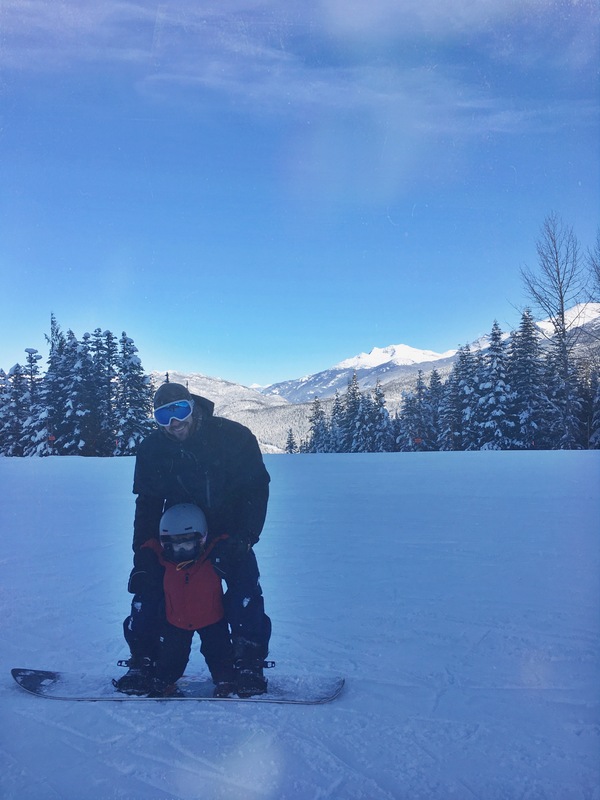 Snowshoeing is a super fun one to do with the kids, Whistler Olympic Park also has a dedicated toboggan zone and they rent toboggans if needed. Nordic Skiing is another good one that can be surprisingly fun, check it out if you’ve never tried it before it’s pretty amazing, and they also have a special on Wednesday night from 3:00 PM – 9:00 PM for only 7$ It’s worth the shot. Squamish is known for having one of the largest population of wintering bald eagles in North America. When you see one flying over your head, you understand why this bird is so important to our culture, they are so big and such majestic birds. There are multiples sites where you can easily watch them from in Squamish, which one of the most popular ones is the Eagle Run Park in Brackendale. You can often spot multiple eagles on one tree, and see them in action trying to catch salmons. They are usually around from November all the way to February so don’t miss out and go check them out. There is also a float tour that you can book to watch the eagles from up close, I’ve done it in kayaks with friends before and there is no better way to see them than this, paddling along the Squamish river, quiet as can be and the Eagles barely even notice you. We have been quite lucky this year, Squamish received so much snow right after Christmas so we’ve been enjoying this amazing weather and taking advantage of it as much as we could while it last. 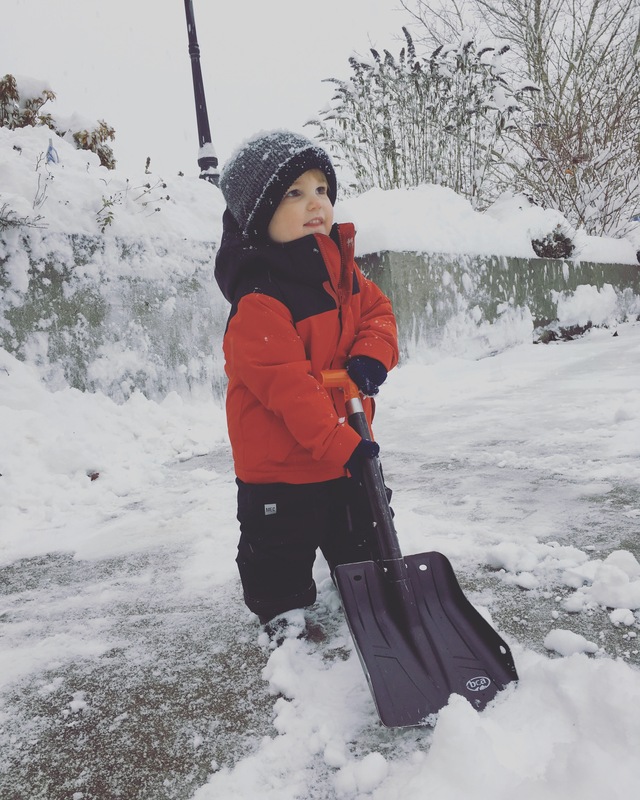 Here are some ideas for fun and easy activities to do in the snow into town. 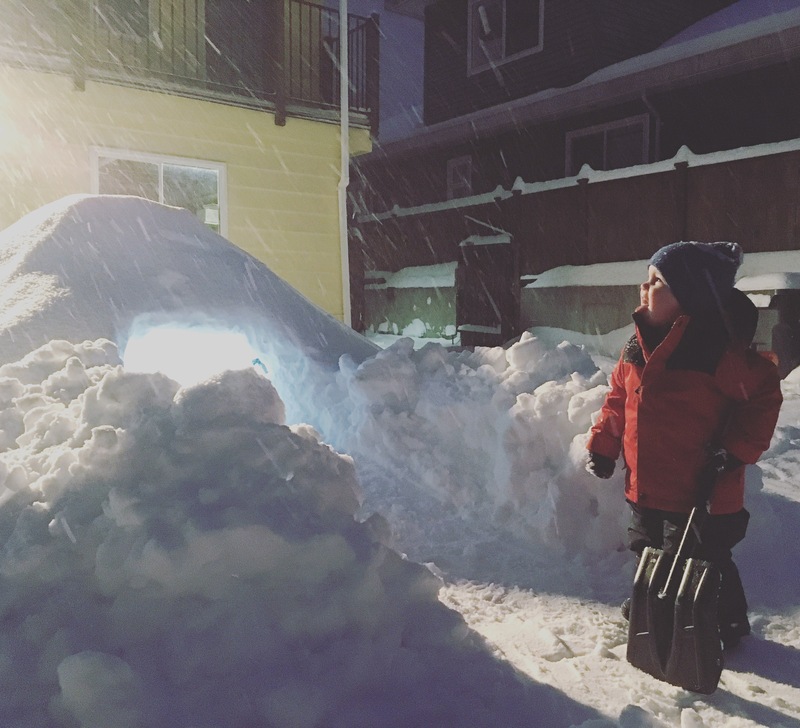 There is so much fun to have in the snow, Bundle up and get outside even on those colder days, the kids will have a blast and you will too. And they sure have long naps after a morning out playing in the snow. Enjoy and have a wonderful winter.